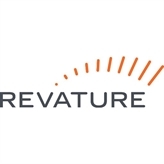 Revature is a rapidly growing technology company that is focused on providing its Fortune 500 clients with the best software engineers in the country. We are looking for passionate and ambitious Entry Level Software Engineers to design, develop and install software solutions. The successful candidate will be able to build and support enterprise level applications in compliance with coding standards and technical design. Prior to working with one of our clients, you will receive intense technical and professional training (10-12 weeks) at no cost to you. Starting on day one, you become a Revature employee and are paid during the training period before placement with our clients. In addition, corporate housing is available to you for the length of your training.